This theme comes with 2 page templates when you create page, which is Default Template and Homepage. To begin create page go to Pages » Add New then select Template do you want to create. 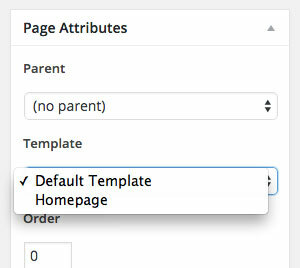 When you create a new page, the “Default Template” is assigned to the page by default. The default page template is a standard page template that can be with a sidebar or just content (without sidebar). This template is the same as its name, for Homepage purpose. With this template you can build your homepage layout from set the featured slider, popular post, filtering content, choosing sidebars, etc.